Judges said they looked to reward creativity - smart insights that defied conventions. One speaker advised, "When you're thinking about dentures and the older woman sitting by her bedside enters your imagination, please ask her to leave." Last week I attended the Cannes Health Lions Festival. I came away with some surprising insight on what it takes to win, but also how that makes this competition different from the others in which we healthcare communicators typically compete. 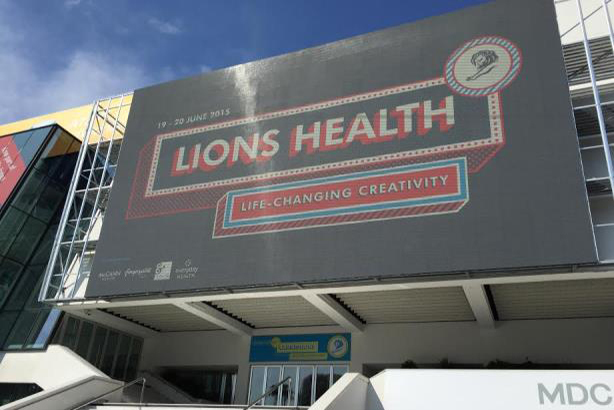 While the Cannes Health Lions are only in their second year, it has already established itself as an intensely competitive festival that drew more than twice as many award entries this year as in its inaugural year. In fact, more than 1,800 submissions were reviewed in the Pharma and Health & Wellness sectors, which made being shortlisted to the top 180 – let alone taking home a Bronze, Silver, or Gold Lion – a real achievement. I’ll cut to the chase: Winning Cannes Health Lion entries are all about the creativity and the willingness to break away from how things have always been done. It's about pushing the envelope despite the regulatory guidelines that impact us all. Results are secondary. In a panel discussion, judges said they looked to reward creativity – smart insights, real imagination, work that defied conventions, and, in the best cases, made the complex simple. We were warned about the use of clichéd imagery – the happy retired couple holding hands on the beach, people with allergies running through fields, or older men having earnest talks with other men in white coats dispensing advice. One speaker advised, "When you’re thinking about dentures and the older woman sitting by her bedside enters your imagination, please ask her to leave." So what does it take to win? •Size doesn’t matter. Great work comes from agencies and clients of all sizes. Bigger doesn’t always mean better. Some terrific and inspiring work is being done at a local level without enormous budgets. Every agency has a shot. •Results don’t matter either. Yes, you read that correctly – in this particular competition. To my great surprise, the judges were frank in stating that it is the creativity that wins the day, with actual campaign results weighted at less than 20%. They further noted that some of the campaign entries they admired were too new to even show results. Results should and do matter in virtually every other awards competition – and most certainly in real life – but this festival celebrates the creativity far more than proven campaign impact. •Cultural relevance counts. That insight may not work everywhere or become the backbone of a global campaign – but Health Lions’ judges awarded national or even single-city work that was built on strong audience insight, whether or not that insight could be translated and put to work as effectively in other markets. •Pushing the envelope also counts. Don’t let regulation be an excuse for mediocre or safe, clichéd work. We cannot escape the fact that healthcare is challenging given the regulations we must respect, but dozens of Lions entries vividly demonstrated that creativity can still thrive. Whether it's the sector itself or the brands within it, healthcare is competing for audience mindshare as much as any other subject matter. We must command engagement and drive attention to compete outside of our competitive set. •Tug at heartstrings. In this competition, provoking emotion makes a difference. Healthcare is full of rational information that needs to be communicated, but breaking through means appealing to emotion as much as logic and brainpower. The trick is doing it without going back to the predictable life moments and tired imagery – graduation, weddings, grandchildren – that need to be refreshed to break through. •Own the idea. We have work to do to prove to clients and partner agencies alike that PR can give birth to the ideas that drive breakthrough campaigns. It was painful to hear one judge suggest that the PR firms did not do as well as other agencies in this competition because "the PR firms need to prove they are not just working off the back of someone else’s idea, but have their own insight and creative at the core." Our clients are looking for breakthrough ideas. PR agencies need to deliver them, whether or not we are explicitly asked to do so. Those ideas are what get rewarded at Cannes Lions Health. The good news: we absolutely have the tools as an industry to deliver them moving forward. Kym White is global chair, health sector at Edelman. Prior to that, she was CCO at Baxter International.